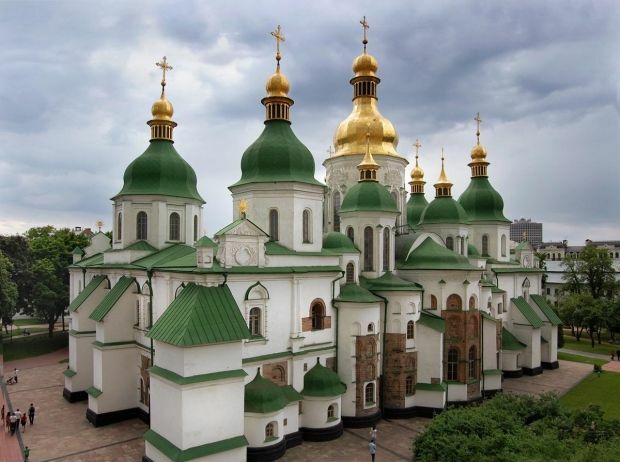 UNESCO has decided to leave the Sofia Kyivska National Reserve and Kyiv Pechersk Lavra National Reserve on the organization’s World Heritage list, that’s according to first deputy head of Kyiv City State Administration Oleksiy Reznikov, who was part of Ukraine’s delegation to the 40th session of UNESCO in Istanbul. “There was a really hot debate. An issue was raised sharply of putting Saint Sofia’s Cathedral and Lavra on the list of endangered sites. We were issued a warning but defended our spot on the World Heritage list,” said Reznikov. The official also said that a monitoring commission intended to visit Kyiv to inspect construction sites in the so-called buffer area. In particular, the construction on Honchara Str. 17-23 remains an issue of concern for UNESCO. If the violations are not eliminated, the 41th session, which will take place next year, will once again raise the question of the inclusion of these sites on the list of endangered ones." Read alsoGermany interested in completion of Podolsky bridge in Kyiv – City AdministrationAccording to the deputy chairman of the KCSA, there has also been a debate over the construction site on Klovsky descent, which breaks the horizon of Lavra. "We explained that Klovsky descent is not in the buffer zone, although we recognize that this building distorts the horizon," said Reznikov. In turn, Professor Richard McKay, a member of the International Council on Monuments and Sites (ICOMOS) focused on the construction site on Honchara street, stressing the need to bring the process into compliance with standards and supporting Kyiv’s ambition to preserve the unique site such as the Saint Sofia’s Cathedral. As UNIAN reported earlier, Kyiv City Council July 14 ordered the developer – Investment and Construction Group Ltd to reduce within a month the altitude of the complex, which is being built on 17-23 Honchara Str., in the buffer zone of Sofia Kyivska, to no greater than 25 meters above the ground.